Display, Video and Modile exclusive, premium brand-safe inventory and global AdExchanges & SSPs with the best optimization DSP-technology. ANTS ADX leverage multiple data sources including 1st party, 3rd party and exclusive ANTS Insight DMP proprietary data. ANTS AdExchange (ADX): Display, Video and Modile exclusive, premium brand-safe inventory with the best optimization engine and technology available. Leverage multiple data sources including 1st party both Advertisers and Publishers, 3rd party (Social, BlueKai, Lotame, Eyeota,…) and exclusive ANTS Insight DMP proprietary data, and 5000+ custom data, including predictive and look-a-like segments, retargeting and dynamic retargeting, dynamic creative optimization, demo, geo, viewability and complete view.  Deliver against each channel’s unique KPIs with best-in-class algorithmic optimization technology. Access quality inventory – from premium content, private marketplaces, and public exchanges – 100% programmatically. Allows you to show ads to people who have previously visited your website or app. Takes this a step further, letting you show previous visitors ads based on products or services they viewed. 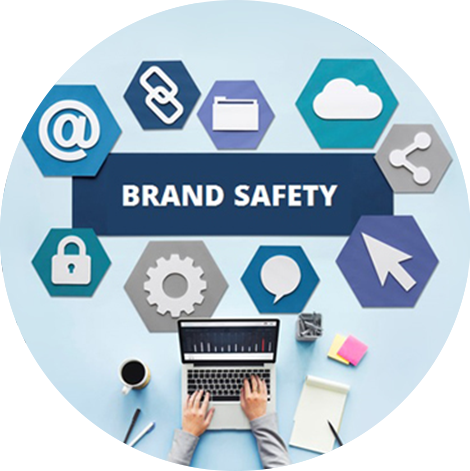 Your brand safety is assured with programmatic media buying. Programmatic technology avoid placing ads on websites with content and context brand does not approve of. 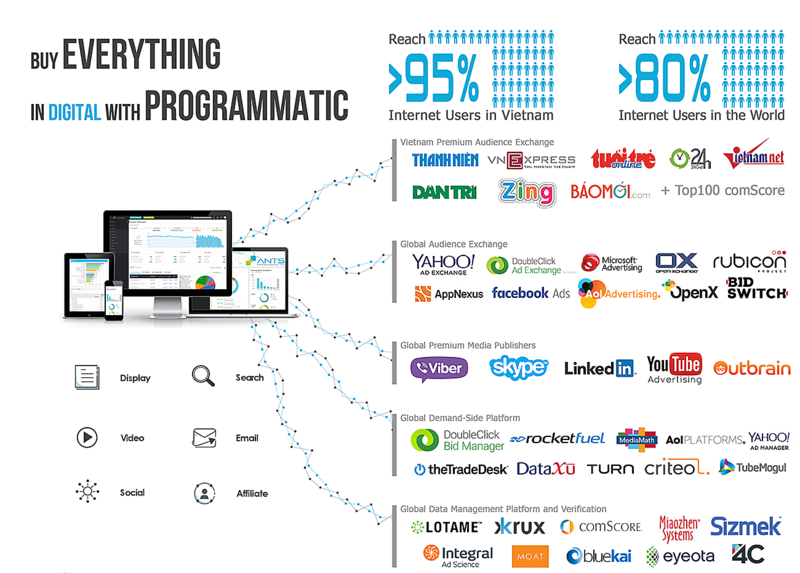 With programmatic system, your ads never show up anywhere if you do not want it to be.